K-BB18 Features: -Body Bar. -Our most popular and versatile model used for all types of strength, conditioning and functional training. -Level of fitness recommendations: Intermediate to advanced. -Construction material: Steel bar with easy-grip durable rubber casing and end caps. -Finish: Black. 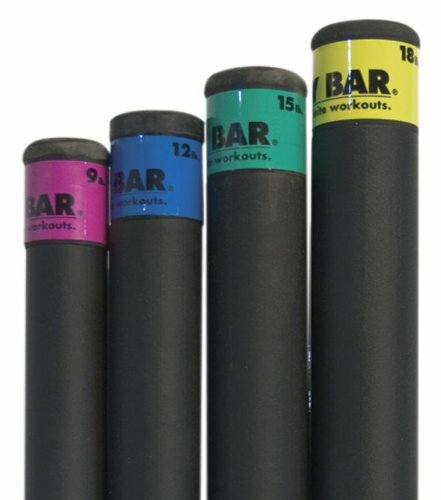 Product Type: -Weighted Aerobic Bars. Grips: -Yes. Weight: -11-20 lb. Size: -Standard. Dimensions: -Bar Shaft: 2'' Dia. Overall Length - End to End: -48". Overall Product Weight: -18 lbs. If you have any questions about this product by Body Bar, contact us by completing and submitting the form below. If you are looking for a specif part number, please include it with your message.